2011 Feb Hawaii, Maui, Kaanapali where the timeshare bug – bit! 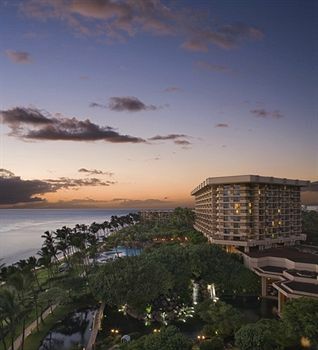 Booked a week at Ka’anapali Beach Hotel in Lahaina, Maui…. Garden View. Well, we got there, the place was a little outdated, definitely has a Hawaiian feel. You could literally walk out onto the beach from your building (in hindsight handy) The bed was hard as a rock! While Bill was diving the next day I decided to to a little priceline bidding to see if we could upgrade. The Hyatt accepted our bid ($150 a night for 4 nights) and we moved the next day. We were upgraded to a oceanfront room for $30 a night (very nice room). The hotel was large, definitely a walk to get from your room to the beach! The pool was very nice with a slide. We did a Luau one of the nights. Overall a nice upgrade but pricey to stay there….we ate out almost every meal in the restaurants along the strip. Almost immediately after signing I started feeling nauseous. By Bedtime I was SUPER nauseous and tossed and turned all night (we were flying out that morning). By the time we landed and got home I’d written the rescission letter and was looking for the fax number and address. Within two weeks of buying we had unbought!